Our preschoolers love to cook! 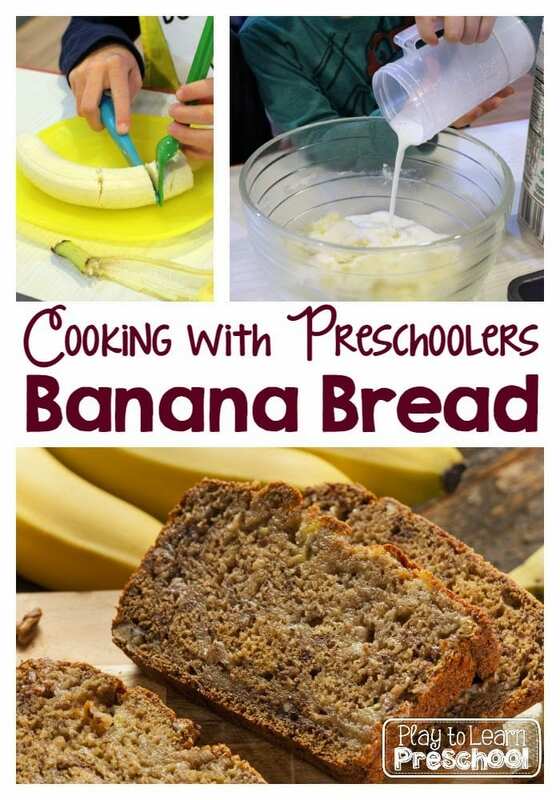 One of our favorite recipes is banana bread. It has enough ingredients and steps to keep everyone busy. And, of course, the end result is a yummy snack that has the kiddos beaming with pride. When we cook with our preschoolers, we let them do all of the work. 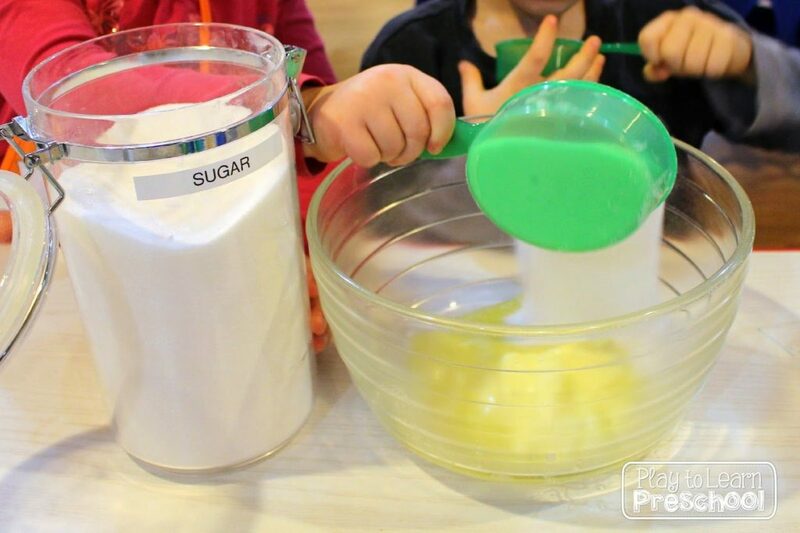 Cooking is a great way to introduce early math skills (counting, weight, measurement, time) and early literacy skills (following step-by-step directions). This first group of students mixed the butter and sugar. 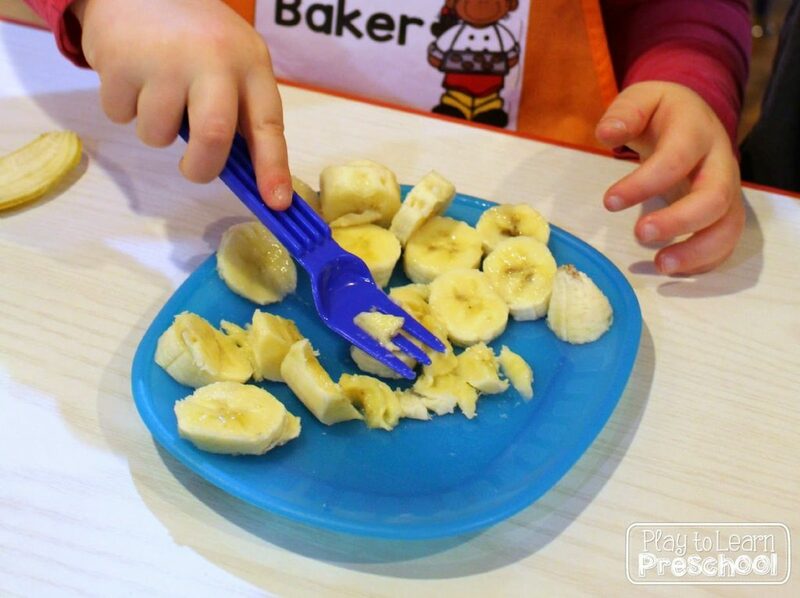 Two other students were busy slicing and mashing bananas. Look at the hand-eye coordination that is required for that task! To help students measure liquid ingredients, we place a rubber band at the correct amount. Then the children can be more independent when pouring. 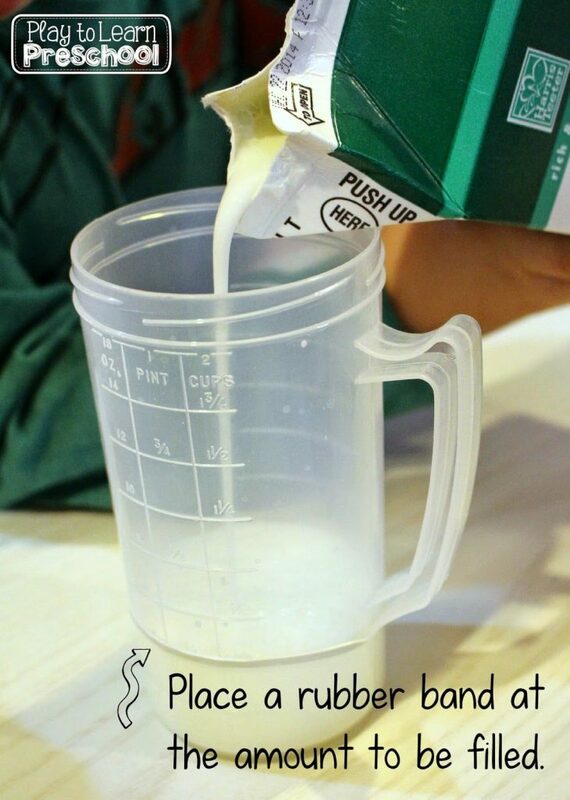 This student measured and poured the buttermilk. Cracking eggs might be their favorite job. 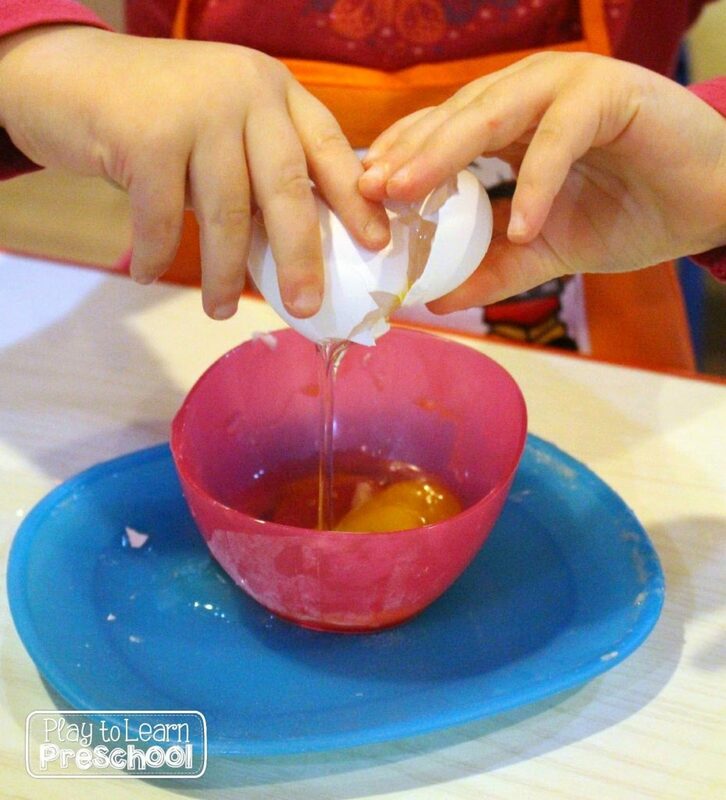 Yes, we let our preschoolers crack eggs! They do it into a small bowl and are responsible for fishing out any shell fragments. They always wash their hands well afterwards. 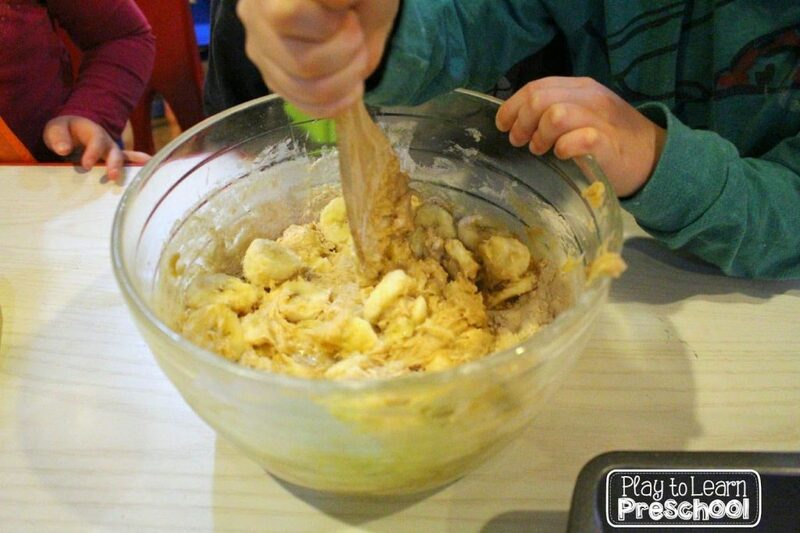 They add the dry ingredients and bananas and take turns stirring the bowl. We like to give each kiddo a “10 count” to stir. The rest of the group counts to 10, and then they pass the bowl to the next person. 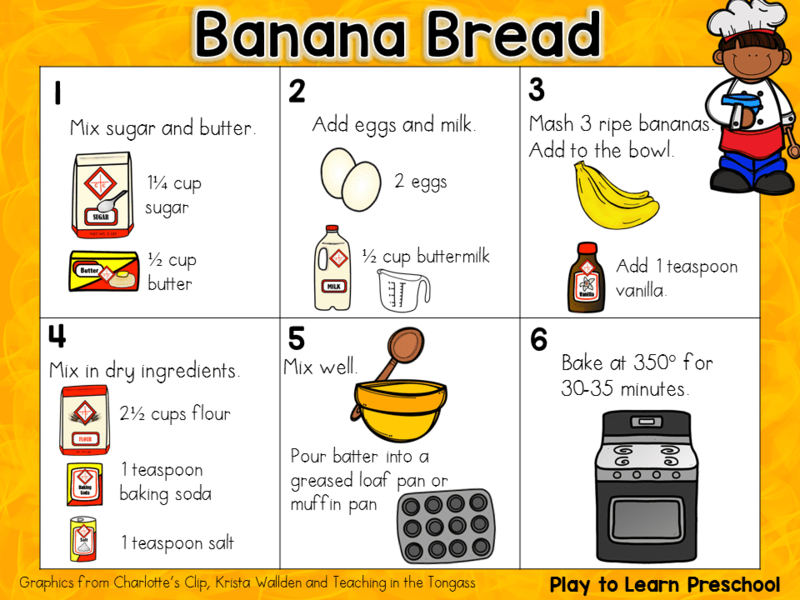 It is helpful to have good visual instructions and a recipe for the students to follow. Feel free to use this one with your own preschoolers. 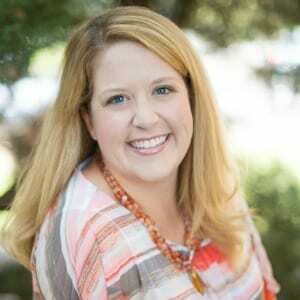 Have fun playing, learning and cooking with your children!